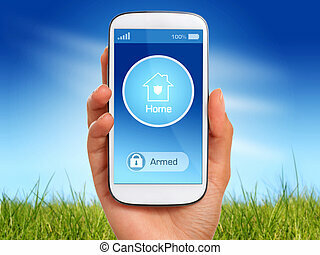 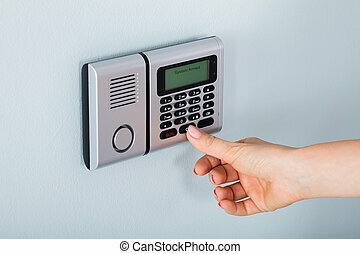 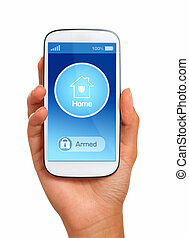 Close-up of person hand holding mobile phone with home security system. 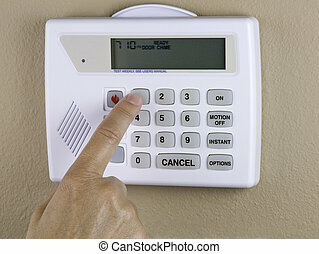 Home security. 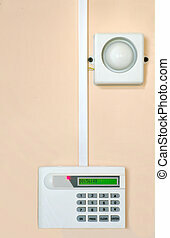 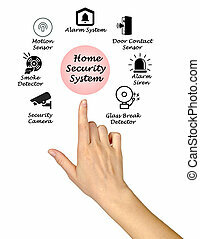 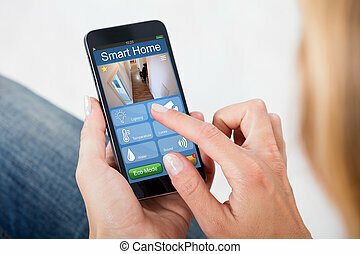 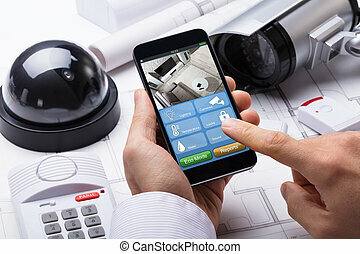 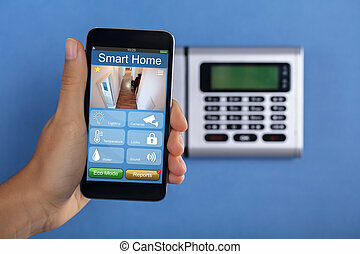 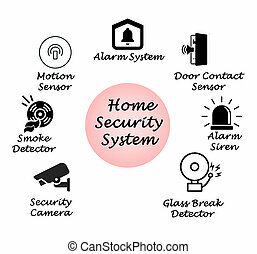 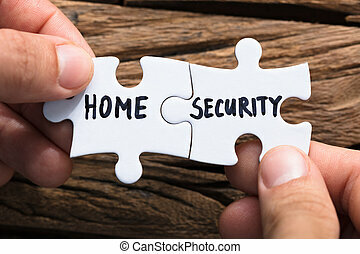 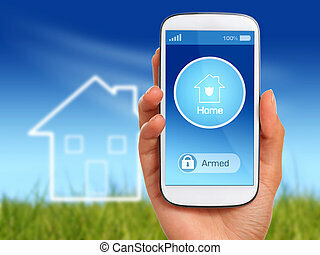 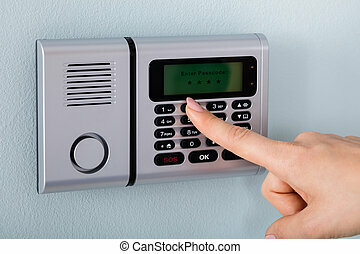 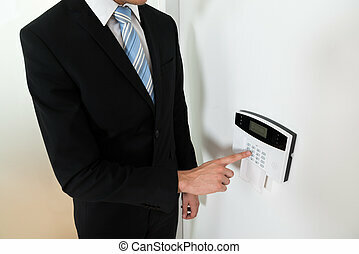 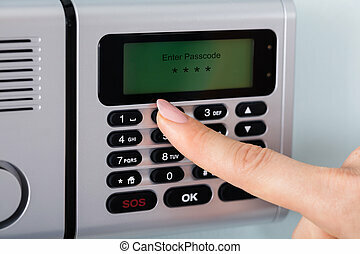 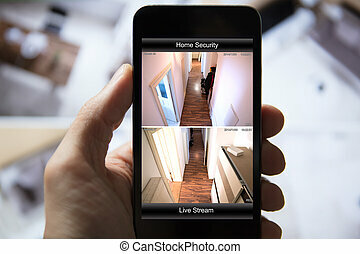 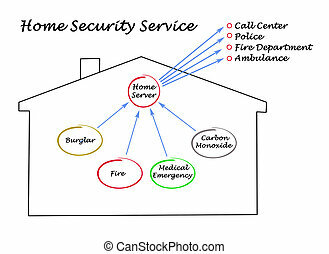 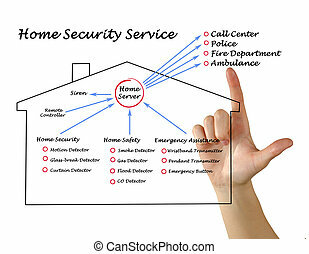 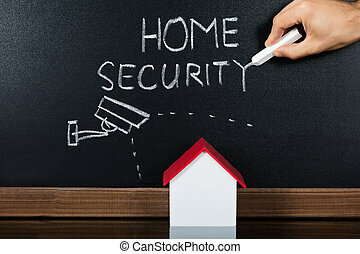 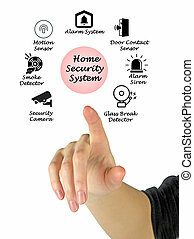 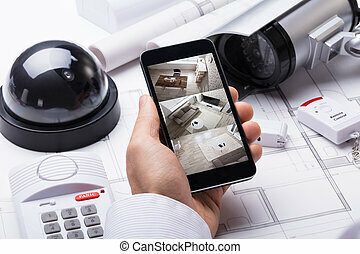 Wireless security system of your home. 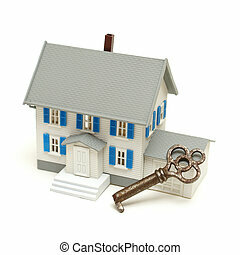 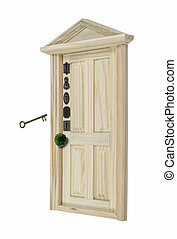 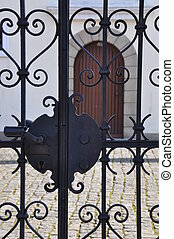 A house and a skeleton key represent home security concepts. 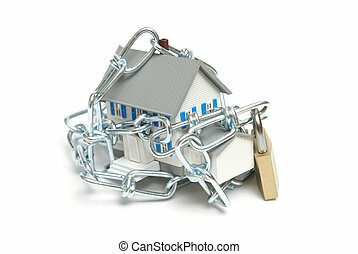 A house is wrapped with a chain and padlock to represent home security concepts. 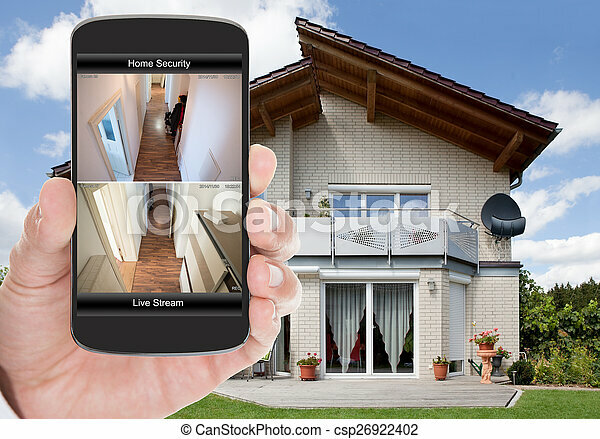 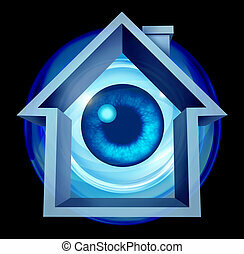 Home security system and house owner protection with alarm warning of risk as a residential shaped building with an eye ball looking as protection monitoring from hazards like flooding fire and burglary crimes.